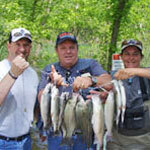 Beaver Lake Fishing Guides and White River Trout Fishing Guide services at Sugar Ridge Resort! 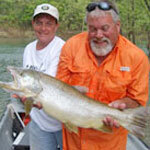 Beaver Lake Fishing Guide services are available in house with Lisa Mullins and Custom Adventures. Lisa is a member of the staff at Sugar Ridge with many years of fishing experience. Lisa has great knowledge of the local conditions and will put you on the fish. 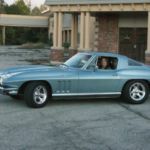 She offers Beaver Lake Fishing Guides, fishing, kayaks and canoes. Don’t worry about your gear, its all provided!